There are currently 4,351 users on this website. Are Colorless Stock Sheets Safe To Use? 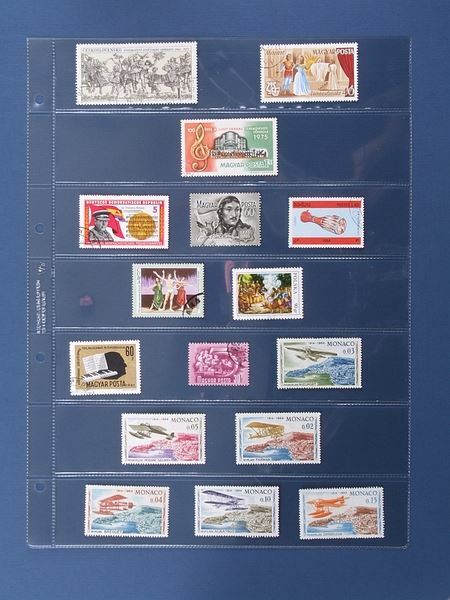 i would appreciate any help or review about the colorless album sheets..
Collectors store most printed ephemera (cigarette cards, postcards etc) in clear album leaves. 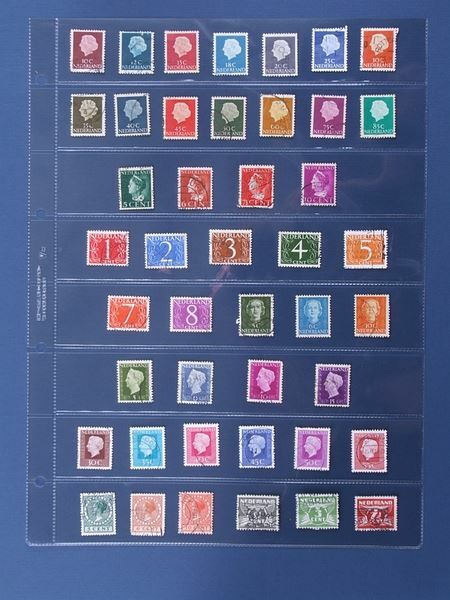 And they're widely used for stamp album leaves (eg by Lindner and Safe). If Lighthouse are selling them and confirming acid-free, I would think they are safe. I would be cautious about unrecognised brands and unbranded ones, however. They do look good the way you've photographed them, but in an album, wouldn't the appearance be spolied by the fact that you can see bits of the next page (and the next, and the next) through the clear plastic? I winced when I saw your picture. The very best of luck if they prove archival. I purchased a small collection 6 years ago, just to remind me of what NOT to do. These are Plastic coin pockets, most of the stamps damaged beyond repair. The chemicals in the plastic have migrated. Esp. the aniline, the colour has completed leached. I'd very much like to read what plastic is used in those sheets. Probably there are many products with problems out there, but not only cheap ones where you do not know nothing about, but also many products of the big album manufacturers. PVC can be a problem. It's not only about the acid or the softeners, but more about the stabilizers. At the end you get a bad atmosphere within the PVC (even if the stamp is inside a better mount in it) and mostly early stamps can get lead sulfid damage. anyway other plastic like polystyrol or polyester without these stabilizers seems to be better (I don't know if these are the correct terms in Englisch for stamp mounts and albums). I don't use PVC and no pages which are plastic only, but have paper on the back for the ventilation. I have had no problem with Lighthouse pages with stamps on/in the pages for like two decades. I do find that the all-clear pages are not always offered in all pocket sizes everywhere. One test of plastic is: is there a greasy/liquid feel to the plastic? That's a sure sign of plasticizers/softeners and other chemicals left on the surface; bad stuff as noted above. It doesn't necessarily mean the plastic is okay if it doesn't feel that way also as noted above. That feel is subjective though, as some people interpret the feel of poly cover sleeves as "greasy" whereas those are just very smooth to me. Poly sleeves are basically inert. At least, I have covers in 40yo poly sleeves that are just fine as are the covers inside. On safe side use Acid free and lignin free stock pages. 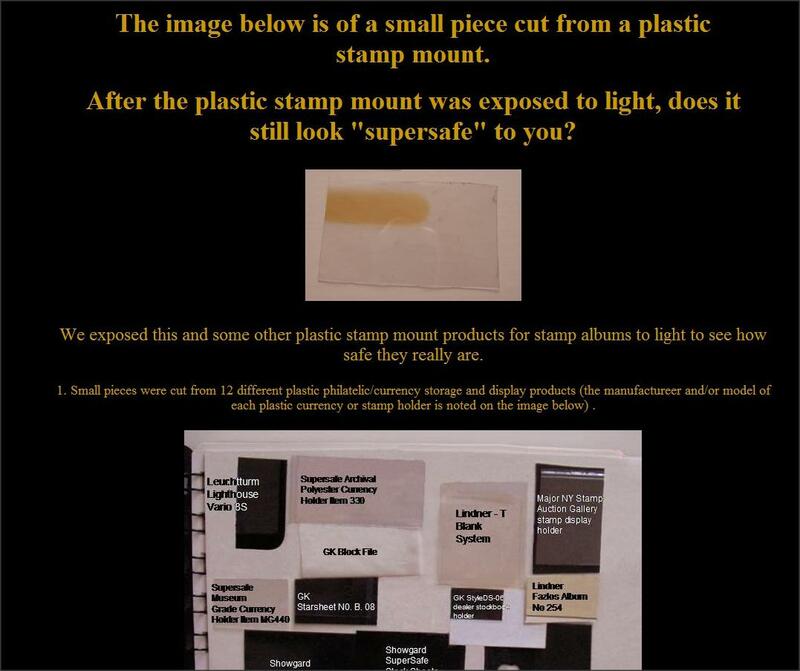 For stamps Scott, Lighthouse, Vario etc are safe and Archival. The sheets you show look good. I was a professional photographer and worked almost exclusively with transparency film (slide film) which is what was demanded by publications. 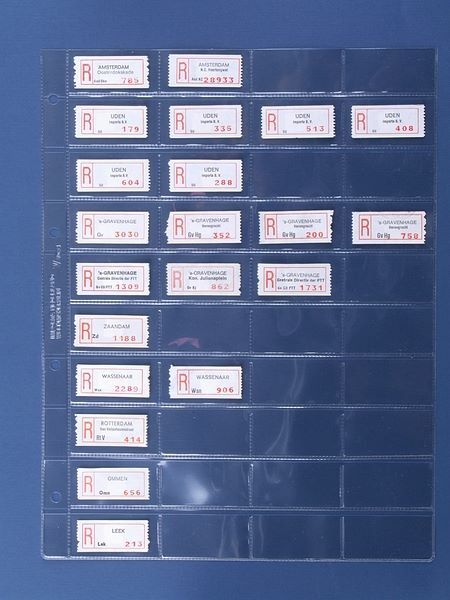 I no longer remember the terms for these plastics, but the old slide pages, similar to what rod posted emitted a gas that was thought to be damaging to transparencies over time. They were replaced with a more pliable plastic that resembles your sheets. What effect the older, harder, plastic rod is using will have on his stamps, I don't know. But it wasn't archival for storing transparencies. I was offered this small collection 6 years ago, just a small album, possibly from a schoolboy. and wanted to see how it deteriorated over time. 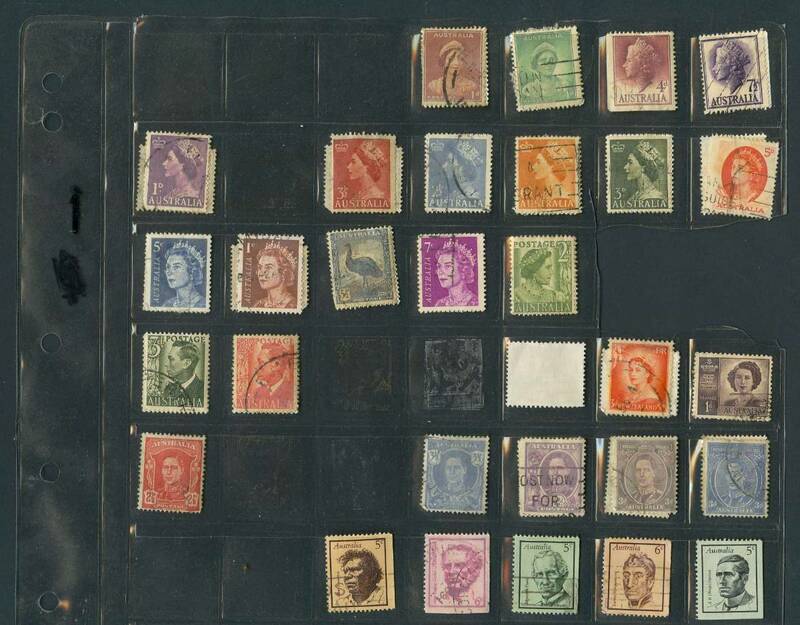 Some stamps have weathered well (or it seem to the naked eye) but others have bleached badly, leaving an image in the plastic. 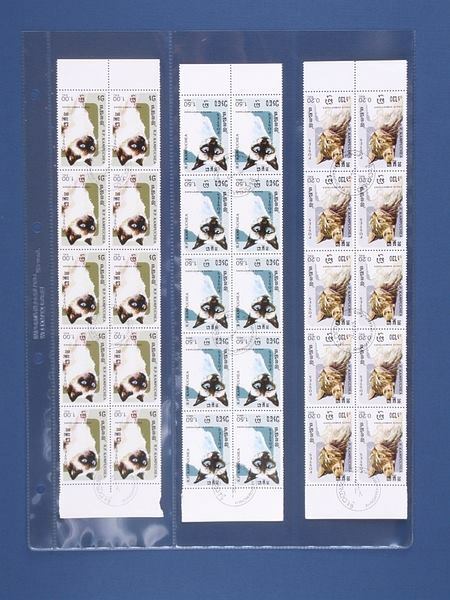 I think "Mylar" was the preferred plastic, a lot of plastics in the Philatelic world are still questionable over time / light. Yes, PVC, Polyvinyl Chloride. Not recommended. I looked up the archival slide storage sheets; they are polypropylene, and appear to be what ballouta shows.